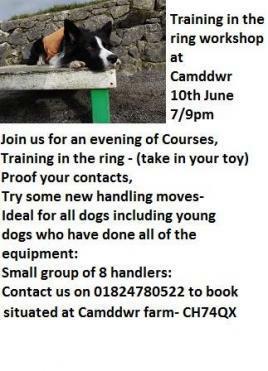 Join us at Camddwr Farm (CH7 4QX) for a evening of courses, training in the ring (take in your toy). Get a chance to proof your contacts and try some new handling moves. 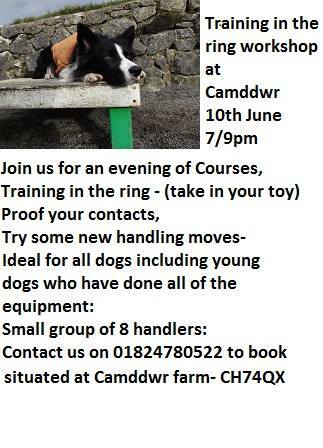 This workshop is ideal for ALL dogs including young dogs who have done all of the equipment. It will be a small group of 8 and is £20 per place.